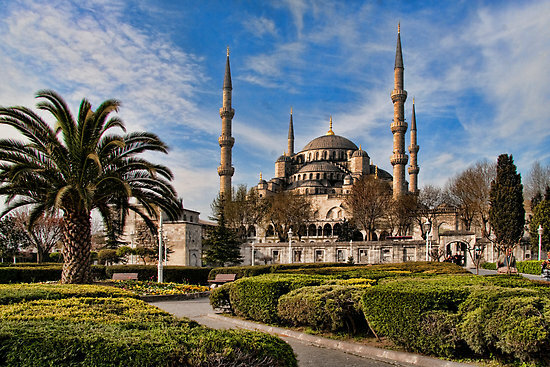 KLM just dropped the price of their Vancouver to Istanbul, Turkey (IST) flights down to $809 roundtrip after taxes. It was the result of asking Facebook fans 'which destination do you think will be the trendy destination for 2015?'. Istanbul came in third, after Bali, Indonesia (#1) and Cape Town, South Africa. KLM claims that all 3 were put on sale for the promotion, but out of those three destinations, I would say Istanbul is probably the best deal, although Cape Town is priced pretty well too. Departures between January and May 6, 2015. Focus on April/May dates if you can. Temperatures start to climb back up from mild in March & April, to being warm in May. I would say 10-12 nights is about right if you want to explore the highlights of Turkey. Just my opinion based on my trip from 2012. From Kayak, hit the Select button, which will take you to the KLM website for booking. With KLM, you can always get a free stopover in Amsterdam. It might be easier to call them to make the booking. But first, you might want to note which dates are the cheapest to fly between Vancouver and Istanbul, from your Kayak search. For this promotion, KLM will be putting their fares back up on Mon, Dec 22nd. But airfare prices always react to demand, so higher demand dates could jump up in price if KLM sells a certain number of seats. For live discussion of this deal, or to get some amazing travel advice from over 19,500 travel junkies in Vancouver, join the YVR Deals Facebook Group. vancouver, yvr, flight deals, eastern europe, europe, central europe, western europe, klm, southern europe, southern africa, africa, southeastern europe, istanbul, turkey, ist, eurasia, amsterdam, ams, netherlands, south africa, cape town and cpt. 2 Responses to "Vancouver to Istanbul, Turkey | $809 roundtrip including taxes"
Excellent deals especially Istanbul. I've been wanting to go for a long time. Thanks for the heads up!